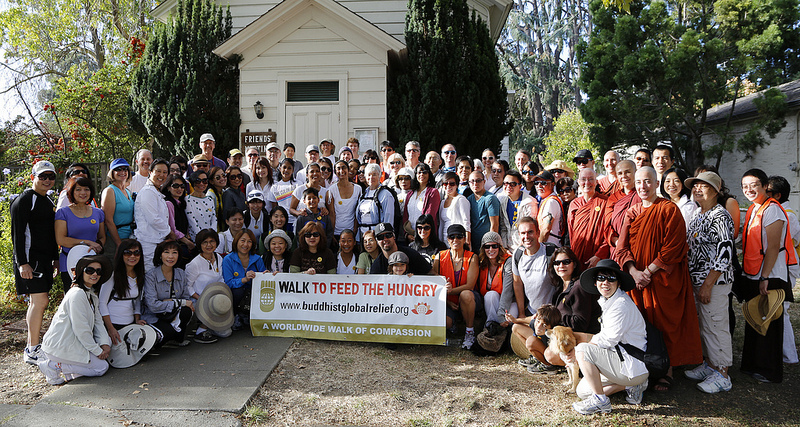 Our Walk to Feed the Hungry in San Jose on Sunday, October 6th, began at the oldest Quaker meeting house in California. As people arrived, registering at a table covered with beautiful messages: “Simplicity, Peace, Integrity, Community, Equality,” a long line formed to make donations. All of us were meeting and making friends on this warm and sunny October morning.